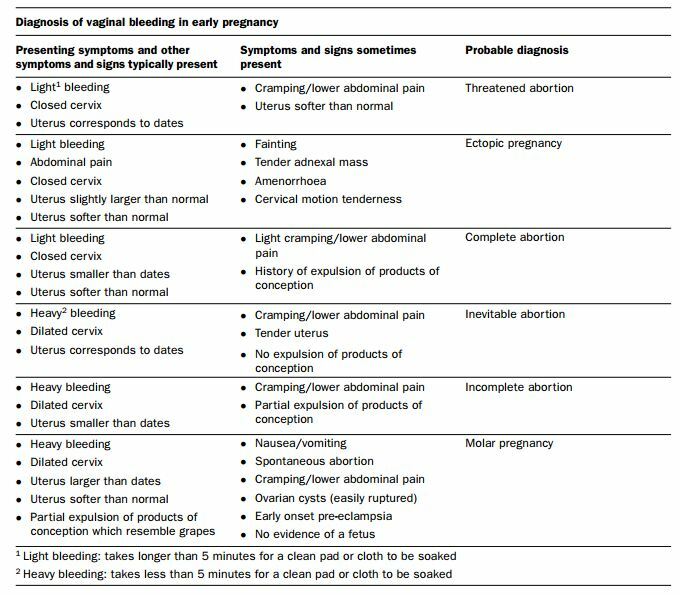 Diagnosis of vaginal bleeding in early pregnancy, table on p 12-4. 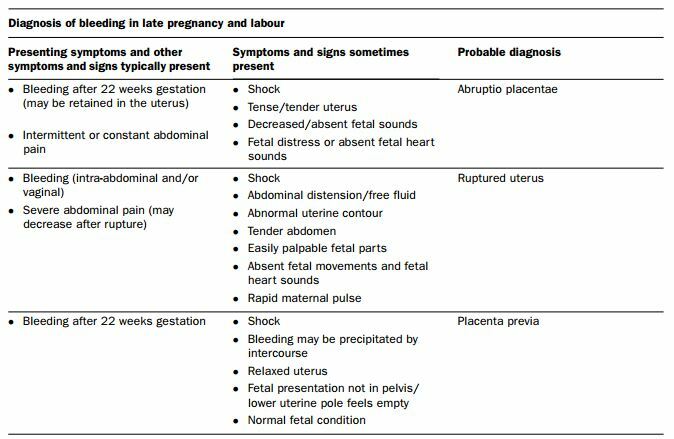 Diagnosis of bleeding in late pregancy and labor, table on p 12-5. 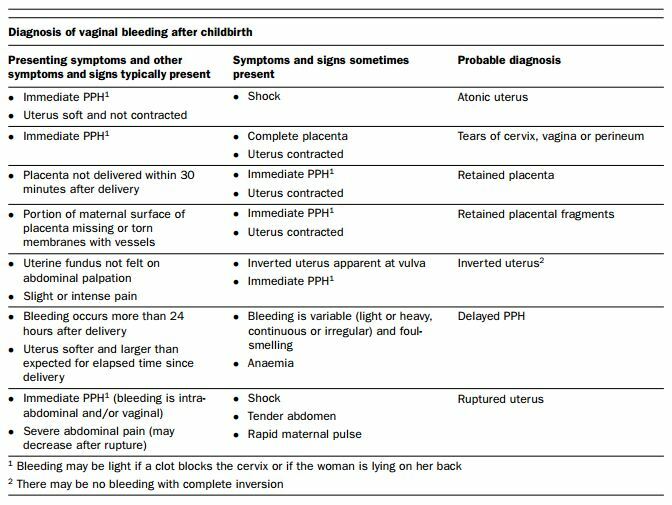 Diagnosis of vaginal bleeding after childbirth, table on p 12-5. 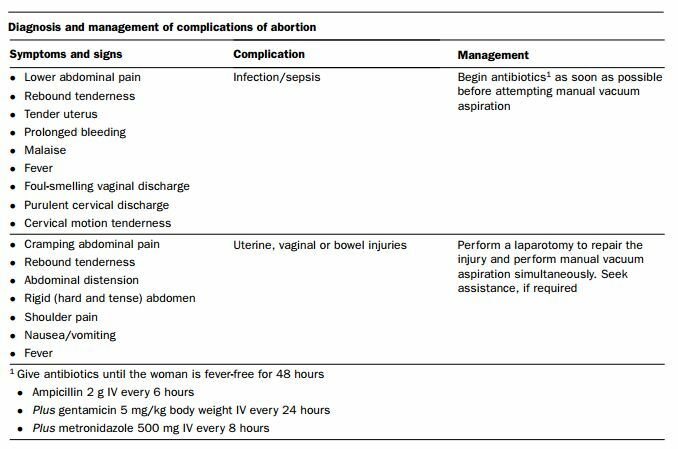 Diagnosis and Management of Complications of Abortion, table on p 12-7. 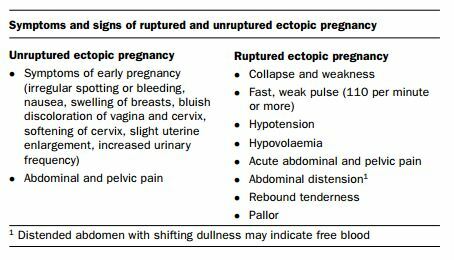 Symptoms and Signs of Ruptured and Unruptured Ectopic Pregnancy, table on p 12-8. 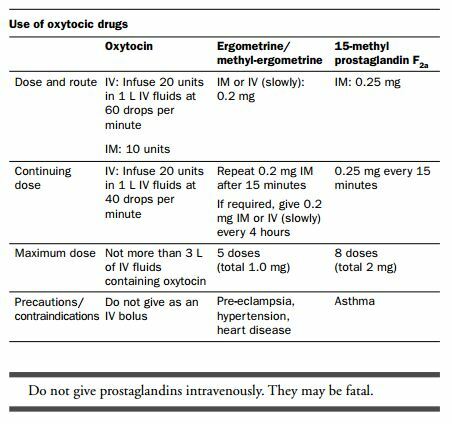 This entry was posted in Advanced Life Support In Obstetrics, Emergency Medicine, Medical Books, Obstetrics and Gynecology. Bookmark the permalink.